Although parents want their children to get an education and a good start in life, they can be generous to a fault. An increasing number of Canadians are putting their retirement savings at risk as they step up to help their adult children pay for rent, groceries, cellphone bills, or even down payments for a home. In turn, financial advisors now have an emerging role to play in helping these Canadians find the right balance between supporting their kids without hurting their futures. For some clients, this balance can be a difficult one to achieve. More young Canadian adults than ever live with their parents – and it’s no secret millennials are struggling in the midst of hot housing markets, lagging incomes and high rates of student debt. But some parents who are eagerly chipping in to help their adult children aren’t running their own numbers first. In fact, many Canadians are doling out thousands of dollars each year to help their adult children. A recent poll from Royal Bank of Canada (RBC) revealed that, on average, Canadians who still support adult children between the ages of 18 and 35 estimated that they’re spending $5,623 a year to offset their children’s costs. 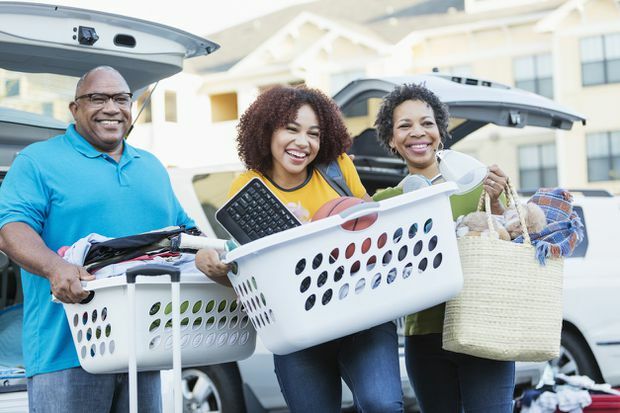 Similarly, almost half of parents who participated in a Canadian Imperial Bank of Commerce survey in 2017 said they were willing to give their kids an average of $24,000 to help them move out. Overall, parents are pitching in for things such as tuition, living expenses – including rent or mortgages – and cellphone bills, according to the RBC poll. In addition, Ms. O’Brien, pointed to weddings or a child’s new business venture as other key times when parents might loosen their purse strings. But while many parents are all too eager to step in and help, the financial repercussions can be substantial. Ms. O’Brien said clients may need to work longer, sacrifice their own investing goals or compromise the retirement lifestyle they envisioned, such as giving up travel plans. As clients approach retirement, it’s key that advisors look at intergenerational wealth management – such as how much clients are giving to their children, and how. Thus, advisors need to build deep, trusting relationships with their clients and have tough conversations with them about what financial goals are realistic and worthwhile, she says. Thus, clients need to run the numbers before making any promises to their kids, Ms. O’Brien says. And advisors can present scenarios that look at different levels of support and how they impact long-term savings. Gifting money to children can even be part of tax planning, she notes. If parents have cash or assets that they have no intention of spending while they’re alive, they could be paying annual taxes on their investment income – and potentially at a high marginal tax rate. Instead, assets can be transferred to their kids, who have lower income, and invested at a lower tax rate. But before such high-end planning can take place, it’s crucial that parents place a priority on helping their kids learn strong personal finance skills by educating them early on about money, says Brigitte Felx, a financial planner with RBC in Montreal. To do that, clients should take their children to the bank to open up a savings account or even bring their children to meetings with their advisors. “It’s never too [early or] late to start talking about [money]. It’s important to show children what to do with money and the impact of savings,” she says, adding that getting children involved in the family finances can set them up for their own life-long relationships with advisors. Ms. Felx recommends clients of all ages take advantage of digital tools that will help them save. She points to RBC’s mobile app, which has the “NOMI Find & Save” tool that analyzes users’ transaction history to find opportunities to save. 1. Invest early. If parents want to help their kids pay for tuition, for example, they should start saving soon after a child is born, which gives them many years to build a nest egg. 2. Invest enough. If the goal is a family trip to Europe, clients need to map out the costs and put enough money aside to achieve their expectations. 3. Invest regularly. Clients can use digital tools to put money aside each week or month. Getting into the habit of saving through regular instalments can help clients make the idea of investing a part of their daily lives. 4. Diversify their investments. Diversification reduces risk by allocating investments among different financial instruments, industries and other categories. For example, buying a mix of stocks and bonds. 5. Plan ahead. Clients need to have a plan – and stick to it. “Having a plan and working with a professional is the best solution,” Ms. Felx says.